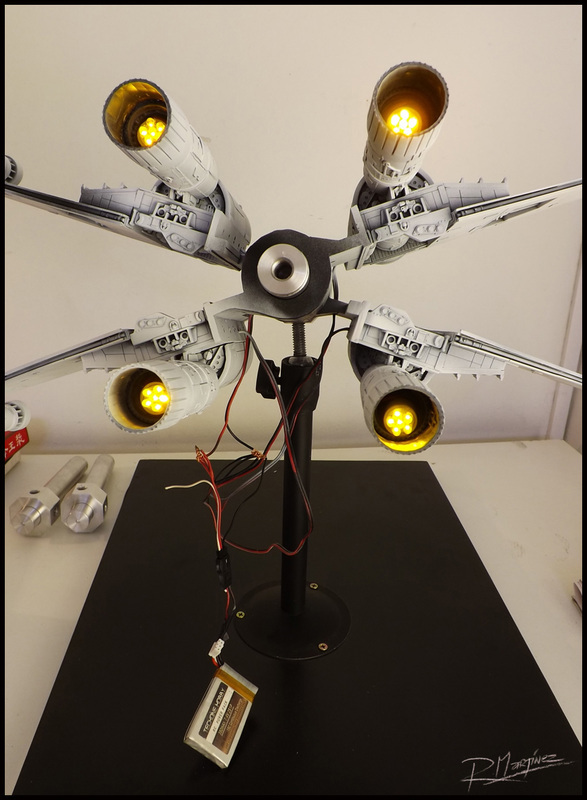 The fully assembled and painted X-Wing Revisited Model comes with special features for lightning the engines with highly brilliant 12.V leds. 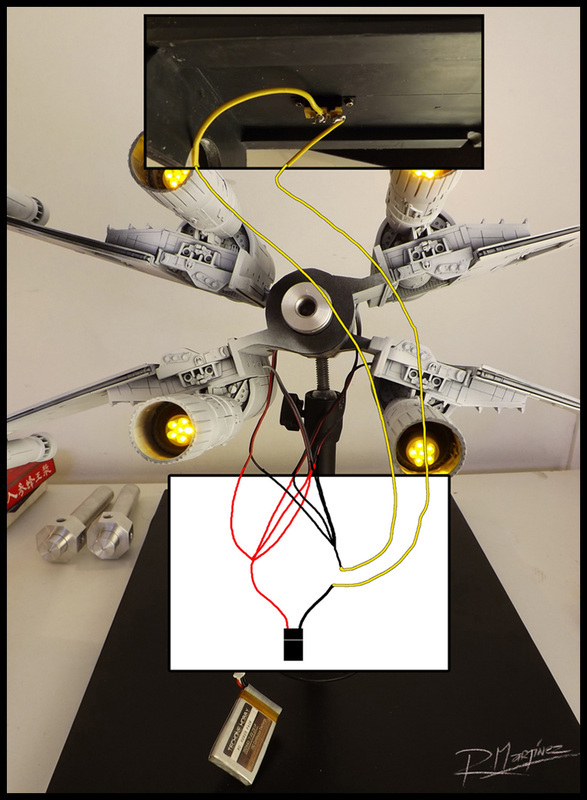 First of all, the power for the led is given by a Lipo rechargeable battery, very slim and powerful, the kind used for small electric powered Radio Controlled airplanes. 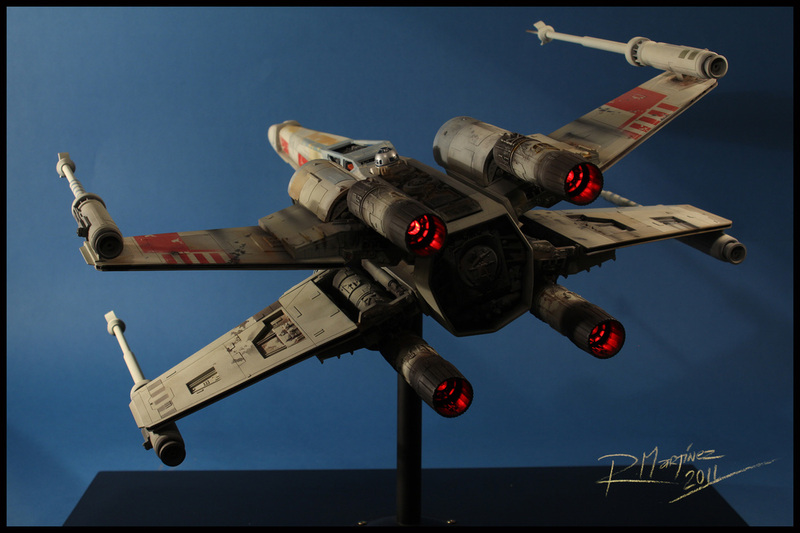 This allows the power source to be fitted inside the X-Wing with no need of power cables going out of the model. 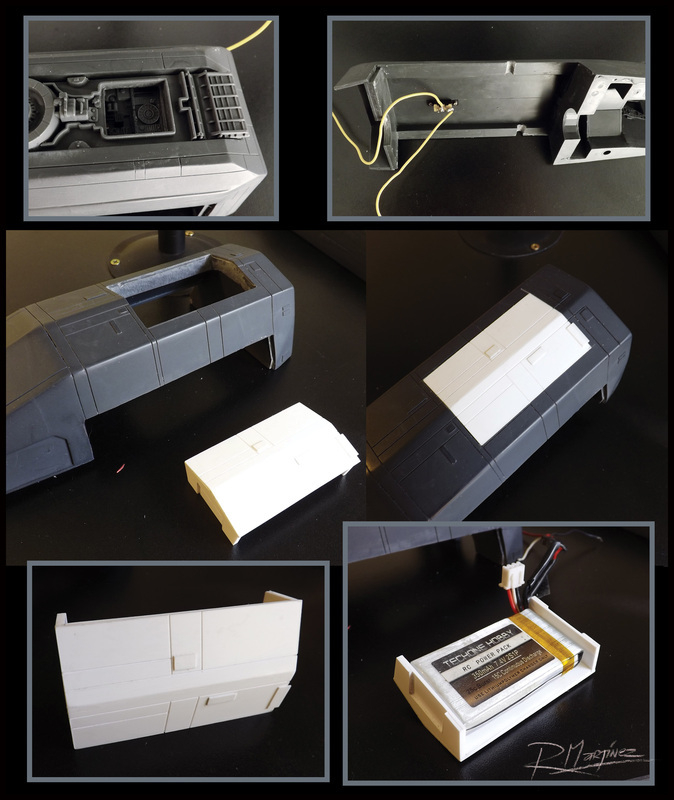 For this purpose I personally carve the underside of the fuselage to make the compartment needed for the battery and build a cap out of styrene with the shape needed to hold the battery, hidden from sight. 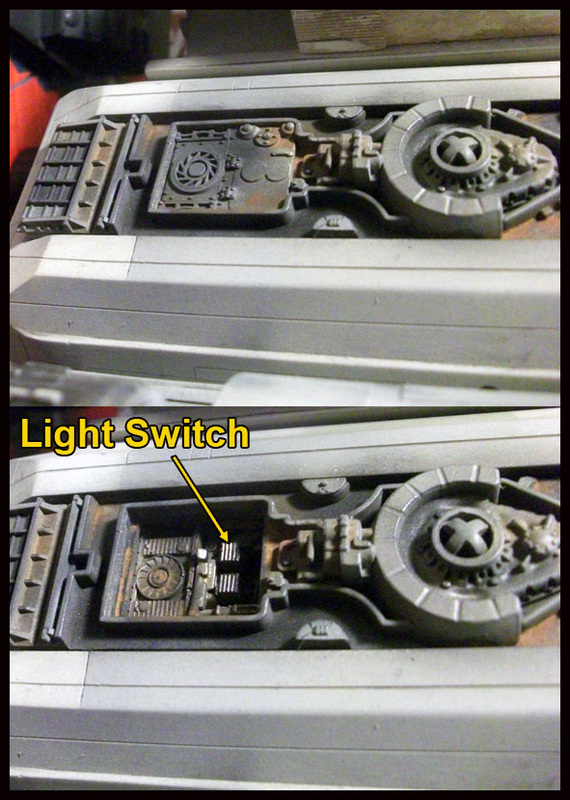 Secondly, the ON-OFF switch stays hidden from view too, inside a secret compartment in the droid strip sector thanks to a removable hatch. On-Off Switch wiring, battery door and Lipo battery. Hidden ON-OFF power switch. Droid Strip sector. Engine lights: full circuit wiring.